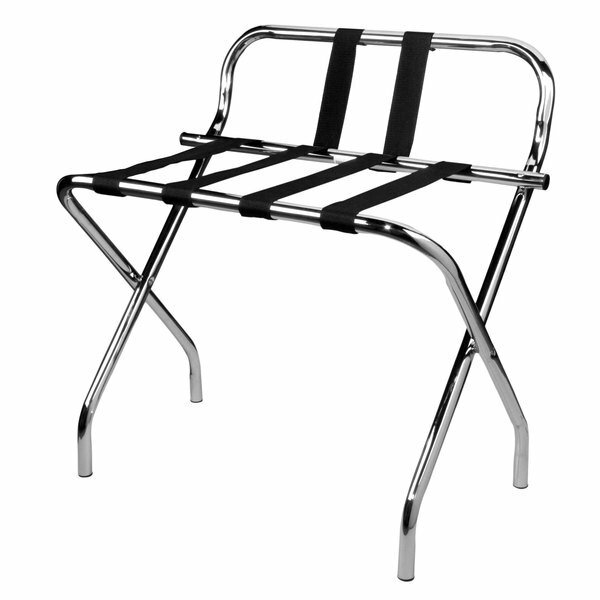 This Lancaster Table & Seating sturdy folding chrome luggage rack with guard is great for holding suitcases at your hotel, motel, or resort. It features attractive and sturdy construction, with four nylon straps for support. This chrome suitcase rack folds flat for easy storage. Rubber feet protect your floors from scratches and scuffing, and contribute to stability and slip resistance.